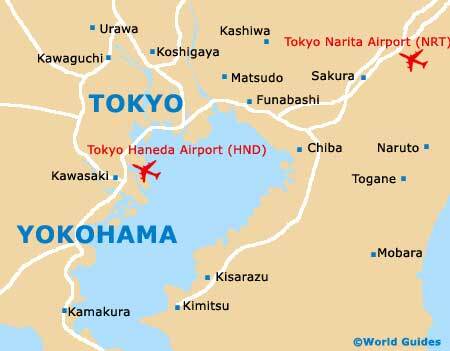 Tokyo is a buzzing, modern metropolis and arguably one of the most exciting places to live and work in the world. With world-class entertainment, restaurants, schools and shopping, and a thriving business district to match, it is no wonder that Tokyo is popular with young professionals and families alike. 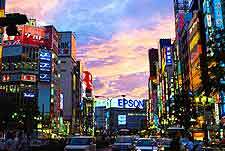 Now is a great time to buy or rent in Tokyo, as the real estate sector has been hit hard by the global economic downturn and there are many bargains just waiting to be snapped up. Condominiums are particularly lucrative at the moment and some are selling for three quarters of what they are worth. The Aoyama and Omostesando areas are popular places to buy, although properties rarely come on the market here. Azabu, Hiroo, and Shirokane are good for families, with their quiet residential streets and reliable international schools, whereas Southwest Tokyo is where most houses with gardens can be found. Serviced apartments are very common in Tokyo and can be found in a number of locations around the city. As Aoyama and Omostesando are so popular, apartments here are small and pricey. Affordable one to three-bed apartments and condominiums can be found in Ebisu and Meguro. Modern high-rise condos make up the business districts of Roppongi and Akasaka, and these are typically flashy and very expensive properties. Most serviced apartments come fully-furnished with simple kitchens. Tenants will be expected to sign a contract for at least six months, give a deposit of between one and three months' rent and pay extra community charges for the building's upkeep. Now is a good time to buy in Tokyo, due to the amount of properties on the market with reduced price tags. Condos and apartments in the main business district yield good rental value with the help of long-stay tenants, whereas large houses in the suburbs are harder to rent. It can be quite confusing in Japan, since different people can own both a property and the land it is built on. If you buy a house you may also have to rent the land from the landowner. Buyers have to pay notary fees, registration license tax, a one-time purchase tax and an annual fixed-price city tax. Apart from the obvious language barrier, real estate agents in Tokyo are generally helpful and happy to work with foreigners. If there is a property you really want and the agent doesn't speak much English, you can always hire an interpreter. Century 21 has properties all over Tokyo and a straight-forward website. Hikari has houses and apartments for sale and rent. 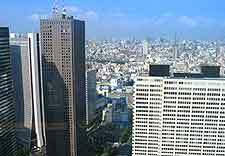 Realestate Tokyo advertises residential and commercial properties, both for sale and rent.